The pharaohs of the Twenty-Second Dynasty of Egypt were a series of Meshwesh ancient Libyans who ruled from c. 943 BCE until 720 BCE. 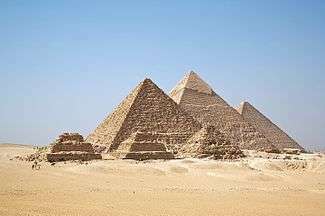 They had settled in Egypt since the Twentieth Dynasty. Manetho states that the Berber dynasty originated at Bubastis, but they almost certainly ruled from Tanis, which was their capital and the city where their tombs have been excavated. Another pharaoh who belongs to this group is Tutkheperre Shoshenq, whose precise position within this dynasty is currently uncertain although he is now thought to have ruled Egypt early in the 9th century BCE for a short time between Osorkon I and Takelot I. The next ruler at Tanis after Shoshenq V was Osorkon IV but this pharaoh is sometimes not believed to be a member of the 22nd Dynasty since he only controlled a small portion of Lower Egypt together with Tefnakhte of Sais—whose authority was recognised at Memphis—and Iuput II of Leontopolis. Djedmutesankh an ally of Israel who fought Shalmaneser III of Assyria at the battle of Qarqar in 853 BC. Shoshenq V Akheperre 778–740 BC Tadibast III? Osorkon IV Usermaatre 730–716 BC Not always listed as a true member of the XXII Dynasty, but succeeded Shoshenq V at Tanis. The biblical Pharaoh So. The so-called Twenty-Third Dynasty was an offshoot of this dynasty perhaps based in Upper Egypt, though there is much debate concerning this issue. All of its kings reigned in Middle and Upper Egypt including the Western Desert Oases.